Derelict, you’re not coming back, I mean that in the nicest way, rest. New drawings track faithful at-hand objects in daily life. These objects, rescued and stray, are pieced-together place holders, in an ongoing search for the things that stay for a while. A constellation of fragment drawings continually touches down on this question of what is important, yet is not overly tied to it. Artifacts are caught, as if in morning light, or Morandi non-light, just before coming into view. 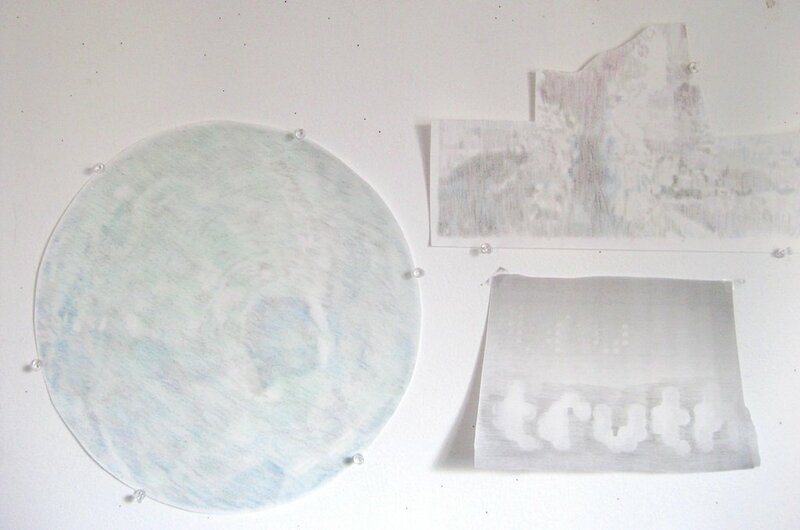 A glass fishing float is drawn as a small universe, tracking the containment of the studio space and objects. All questions are held in this slow drift of ephemera and photocopied parts, redrawn. An algorithm forms, following and repeating these items, which are open to changes, such as a shift in color. As I recite my devotion to these objects, I let them go.